I had a full head of peach-fuzz when I was born. I was the talk of the floor, and Mommy couldn’t wait until she could get out bed and see the little baby girl in the nursery with curly red hair. They brought me to her. I don’t know why they call it red. It’s really many shades of brown, ranging from Bozo orange at birth to “why do you keep calling it red?” brown - right before I started having it dyed back to that brighter shade. [*]No, not the orange, but yeah, orange highlights look natural in my hair. There is much said about redheads. Fiery hair, fiery temper. If brunettes are smart and blondes are dumb, then we redheads are sexpots. Slow to heal; easily bruised. [*]“You are a hemophiliac, aren’t you? No, I’m just a redhead." Higher pain threshold. Fair skin that freckles or burns, but rarely tans. In older times, redheads with green eyes were witches. [*]Mine are hazel, which tends to react to surrounding color, and funny, the red hair tends to keep mine a sort of sea foam green. We require more anesthetic. Do bees sting redheads more often? I’m pretty sure the wasps were more upset about the accidental destruction of their nest than the color of my hair. [*]And they all stung just my upper arm on the part that brushed against the nest; is there some kind of security alert scent spread on the outside to identify the vandals? I can definitely attest to mosquitoes preferring me over anyone around me. Redheads are said to go from red to blonde to white. I can’t wait for white. I’m a bit put out that I’ve got this brown phase going on before the blonde and white take over. I was a sunny child, oblivious to what went unsaid. “Where did you get your pretty red hair?” “God gave it to me.” My parents both have dark brown hair. I was fully grown before I understood why Mommy was so pleased with my stock answer — a sweet innocent reply and reminder to the oh so proper church people asking the question. How was I to know what they might be implying? My brother could always get under my skin. He knew every button to press. I never got scolded for screaming or crying; HE got the lectures about how to treat his little sister. I never learned emotional restraint in my childhood. Was it because my red hair was thought to indicate that I couldn’t? We all carry regrets. When I gave my life to Christ, my heaviest regrets, those that weighed my back down with a load unbearable, were born of anger. Blame the hair, blame the lack of habit of, training for, skill at emotional restraint. When I got bent out of shape, those I cared about the most, those closest to me, were the ones to suffer. These may now be sins forgiven, but the harm to others? Their hurts are often not so easily healed. I find myself in my second life surrounded by strength. By patience. By faithfulness. By truth. These are the traits of those who can stick through the thick and thin that is a redheaded emotional firestorm. God, meds, humility, love. These and the superhero league surrounding me have worked to gentle me. No, really. They can attest. I used to be Way Worse than you see out of me now. Well, yeah. And a weekend now and then, devoted solely to the redhead in me - it doesn't hurt. This has been an entry for The Real LJ Idol writing competition: the Final Season, Topic 4 : “Nobody can ride your back if your back's not bent” . I started with white hair and have slowly moved through to nearly light brown. I would prefer a silvered grey. I probably won't get it. Nicely done. Ah genetics. Yeah it's highly unusual when both parents aren't redheads and their kid(s) end up being as red as it gets! But everyone loves red hair anyway, it's incredibly pretty! Sadly 'everyone loving red hair' isn't the case in the UK! They are often bullied, tormented, slapped, kicked and some families are terrorised and have to move home! Some people are trying to get it classed as racial bullying but it hasn't been accepted yet! Personally, I love redheads. 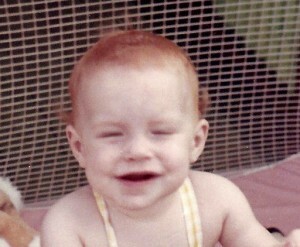 I've always wanted it myself and mom says that when I was tiny I use to complain that I didn't have red hair! lol! So many things unknown as an adoptee. Except that your parents wanted you so much that they sought you out and adopted you. So much of this is all too familiar! 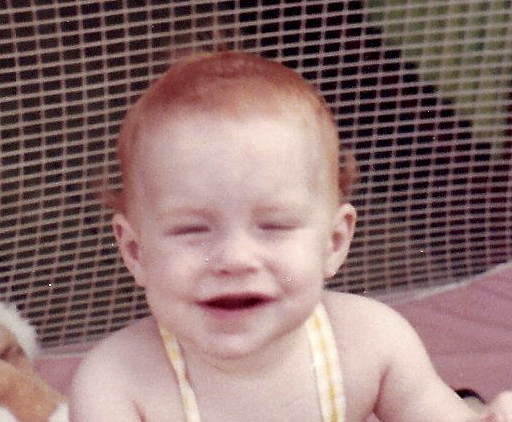 I was born via Caesarian, and my mother was convinced they'd brought her the wrong baby afterwards because of the red hair (there's a little of it in my Dad's family). 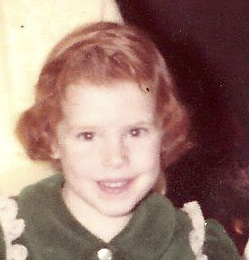 I was the only redhead in a family of brown/blond-haired people. My hair does seem to attract bees (and once, a hummingbird). That part, I could do without. Do you accept your red hair more, now that you're grown? Mine was mainly auburn, and it grew darker after 30. I actually dislike that more! We don't have hummingbirds where I live, otherwise I'd totally be testing this! I WANT HUMMINGBIRDS IN MY HAIR! Red curls. OH HOW I HATED THEM WHEN I WAS LITTLE!! I remember throwing a tantrum at my grandparents' house once. I can still picture myself laying on the tiles in the bathroom thrashing about because my hair was red and no amount of brushing would rid it of the corckscrew curls. It's seriously one of my earliest memories! I can definitely attest to mosquitoes preferring me over anyone around me. I have never once in my life been bitten by a mosquito. The rest of my (also auburn haired) family? Yep. My blonde haired, blue eyed BFF? WITHOUT FAIL. Me? Never. My curls are more waves than corkscrews. When I was a baby, my hair was finer and curled into ringlets at the ends. As a fan of redheaded people I think it's great that there is quite an acceptance outside of the UK. It's just a pity that life is still so bad for those living in the UK! I was shocked to learn about the prejudice against redheads in the UK. Wow, just realizing what people are asking by that - that's REALLY rude. :/ Glad you were able to come up with an answer that gave no satisfaction. Heh, I was very much the little angel of Sunday School. God made me, so he made my red hair, right? Gotta love red hair! I enjoyed reading this! Loved seeing those pictures of you, and your unique take on this. Ha! 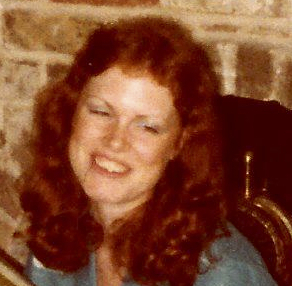 Even those of us only redheaded in spirit need weekends like those now and then. It’s nice for you to have found balance in your second life. Love the photos with the entry! Neat to hear about your life!